As the name implies, Titan Trade is considered the “titan” in the binary options industry. 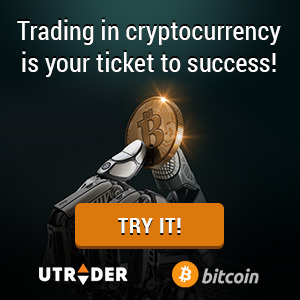 With professional trading brokerage services, great payout rates and brilliant customer support, we were declared as the industry’s leading binary platform almost immediately and has maintained the title ever since. Despite all these great qualities, there are facts that you need to know about Titan Trade. Multiple trading choices. From the basic and most popular classics to the latest trends in binary options trading, we offer various methods of trading to our clients. With High/Low, 60 seconds, One Touch, Option Builder and more, Titan Trade is the perfect place to grow your investments and boost your profits. Risk management. Risk management is important in every aspect of business and this is especially true in trading binary options. Reducing losses and turning bad trades into winning ones is part of our risk management portfolio, where traders are given the ability to control the level of risks and double their investment value with just a few clicks of the button. Security of funds. What you need to know about Titan Trade is that we provide the most advanced security features to protect your investments against malicious threats and fraud. What all this security means for you is that your money is in safe hands so that you can focus all your attention to Titan Trade trading. Available 24/7. Live chat, e-mail, phone, technical and customer services are at your disposal, provided by our friendly, highly-trained and multilingual specialists. Get timely market reviews and analyses from our team of market analysts or collaborate with your personal account manager to construct an efficient strategy that suits your style and needs. Whether you’re a novice trader or a veteran investor looking for new investment opportunities, Titan Trade is your home for trading. Get your free trading account today and uncover the exciting world of binary options trading with the world’s most developed platform!